Appleby Horse Fair this year takes place on 7-10 June. These temporary sites will be regularly visited by representatives from both Cumbria Constabulary and Eden District Council during the period of occupation. The horse fair is not an organised event and so no one is actually responsible for its conduct. Eden District Council provide a regular rubbish collection for the duration of the fair together with the provision of toilets and a clean- up service when the travellers have gone. The contact at EDC is Emma Brass 01768 212366. Cumbria Constabulary provide regular patrols and will respond as normal to any issues of criminality or anti- social behaviour. Sergeant Andy Milburn is responsible for the mobile teams patrolling the area and he can be reached, when on duty, by phoning the non-emergency number 101, selecting option 2, and dialling 41516. NOTE: In an emergency situation, as usual phone 999. Your parish council has submitted a plan to Eden District Council showing some restrictions on parts of the village greens. It has been published on the Appleby Fair website. The essence of the plan is reproduced below. 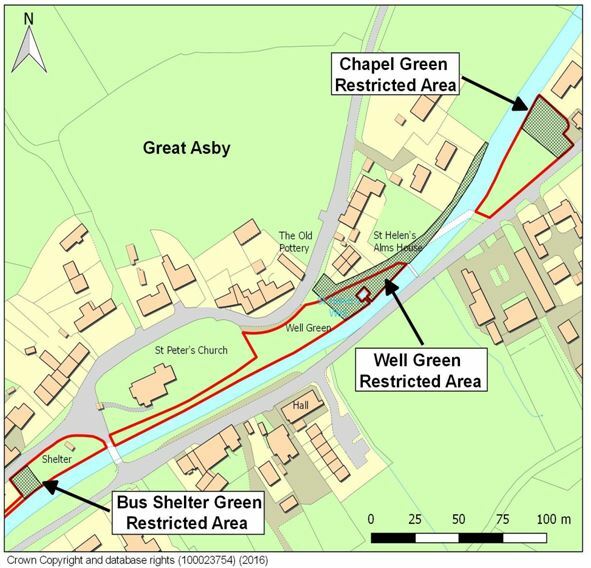 “Great Asby village greens will be available to Gypsies and Travellers to stay on their way to and from Appleby Fair, however, there are limits set as regards the areas and dates of use which must be adhered to. In response to problems encountered in recent years, when there has been some unacceptable behaviour, restrictions will again be in place for 2018. 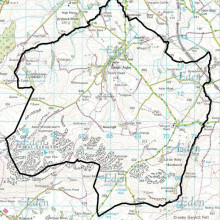 This will result in some areas of the village greens being unavailable for caravans or other vehicles, however, these areas will still be available for horse grazing. Please do not arrive before Tuesday 5 June 2018. Toilets and rubbish collection will be provided. Download the full version of the plan here.